It's hard to imagine filming and producing a banger big mountain edit in just a week. And yet, as usual, SASS has gotten the goods to give skiers the trip of a lifetime, all with Session 1 only halfway over. With over two feet of fresh Patagonian powder blanketing Laguna and other zones, we have been exploring new lines that we have been eyeing for years. 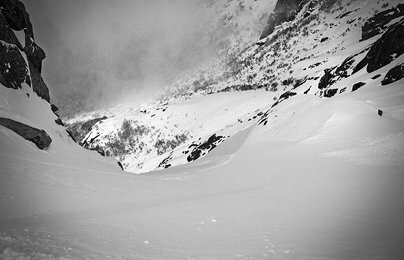 James Heim and his group of skiers eyeing the entrance to a chute. Dropping in on the run of a lifetime. Face shots the whole way down. 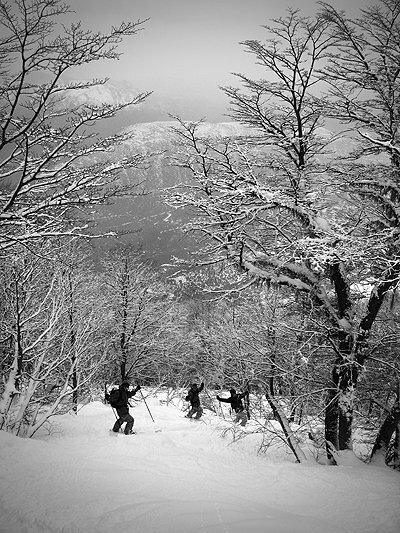 With all of this fresh snow, we have been heading into the trees to take advantage of Cerro Catedral's amazing tree riding. Moss covered limbs hang overhead and collect snow. It's almost as if you are riding through a forest taken right out of a Lord of the Rings movie. Heimer dropping into the trees for some turns. See that other track? Campers take turns getting first tracks! Campers hanging out about to drop in to Segundo Lomo. After all the pow riding, a few of us decided to head into town to check out some of the cultural differences between Argentina and the United States. 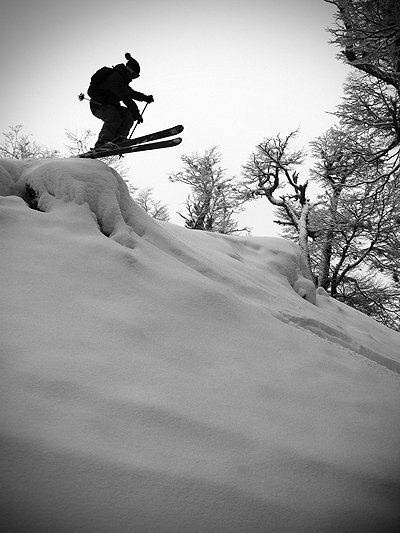 After all, shredding big lines in the Bariloche backcountry is only one part of what makes SASS such an amazing trip. As a member of the SASS family, you will have the chance to experience another country, meet the locals, and sample local cuisine. 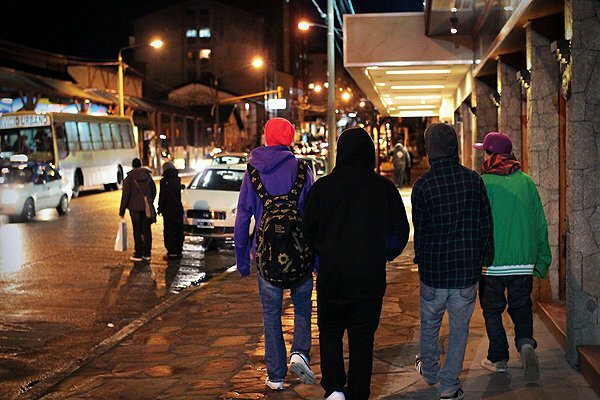 Josh, Chris, Conor and Mikey cruising Mitre, the main street in downtown Bariloche. 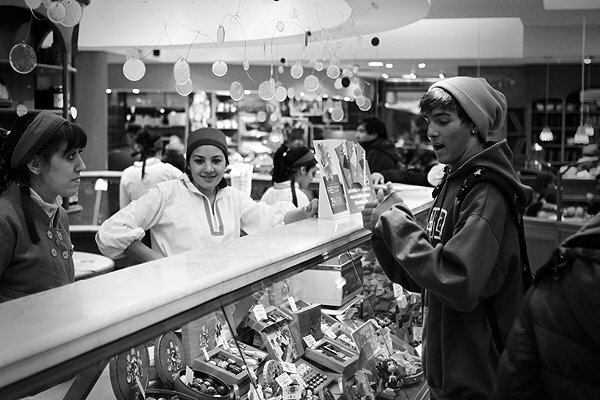 Josh, trying to buy chocolates, without speaking any Spanish. With a week down, and another week left in Session 1, campers are already saying what we knew they would all along. 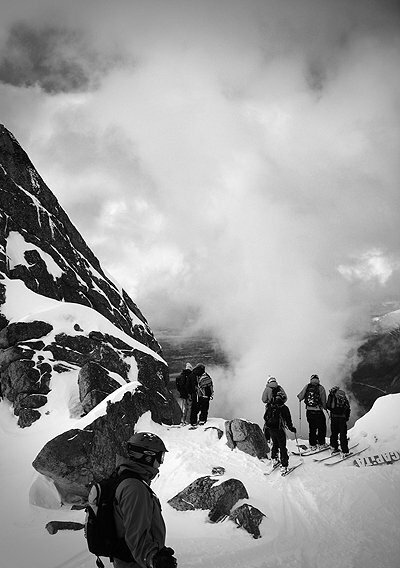 SASS in Argentina is the best summer ski trip in the world. And if you don't believe me, then check out the first ski podcast of the season below. Spots are dwindling, but you can still get in for Sessions 3 and 4. Email us at Jack@SAsnow.com or send a PM right here on NS to SASnowSessions!